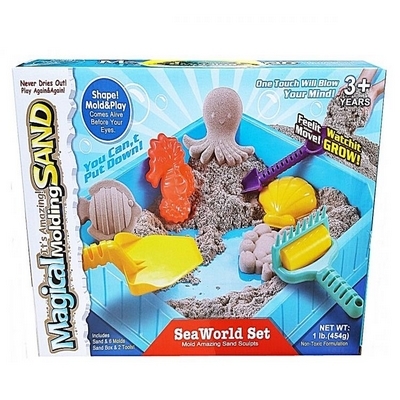 Create, build and defend your sand kingdom with the Kinetic Sand. Kinetic Sand is the squeezable sand you cant put down. Its the magical, mouldable sand that flows through your fingers, leaving them completely dry. With the Magic Molding Tower you can create your own characters like a unicorn, dragon or any sea animal.